FEBRUARY- 7th, 14th, 21st, 28th MARCH- 7th. MARCH- 28th, APRIL- 4th, 11th, 18th, 25th. MAY- 16th, 23rd, 30th JUNE- 6th, 13th. 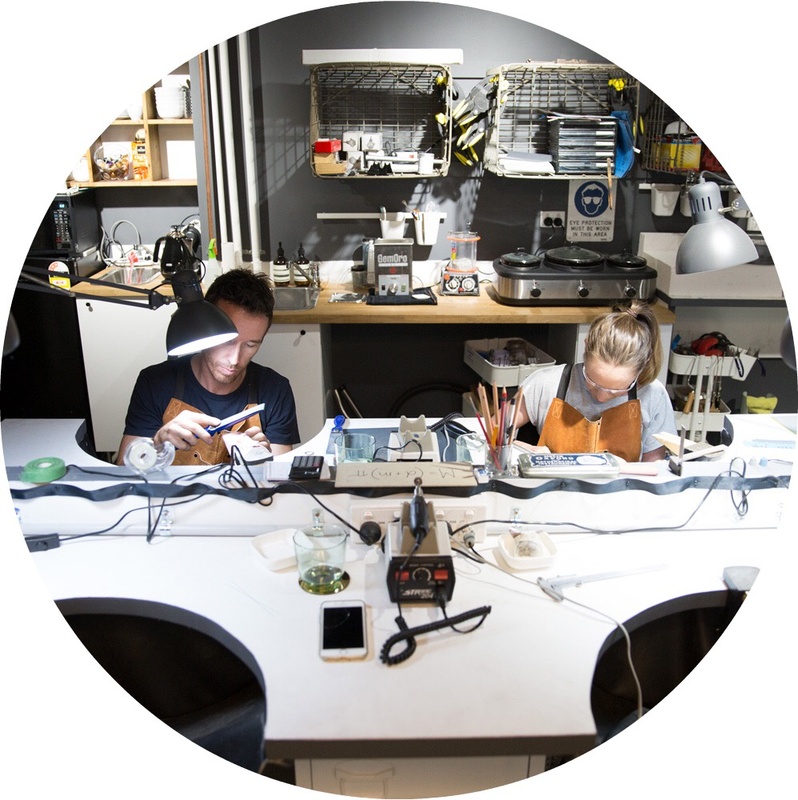 KIN Gallery’s Evening workshops stretch your mind and build your practical gold and Silversmithing skills. Each participant receives a materials box at the beginning of their five week class; with the contents of your box you will be guided though the design process to plan, draw and make a piece (or pieces) based on the materials supplied. $550 - includes all materials, consumables and personalised tuition required for 5 sessions.